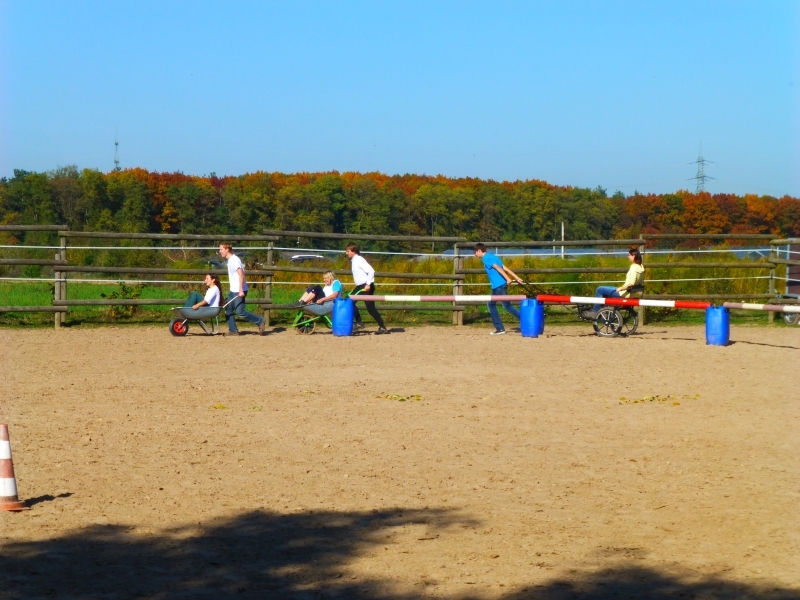 Our chariot race gave the participants the free choice of the chariot used and the mode of driving, hauling, pushing, yoke a pony, everything's possible. 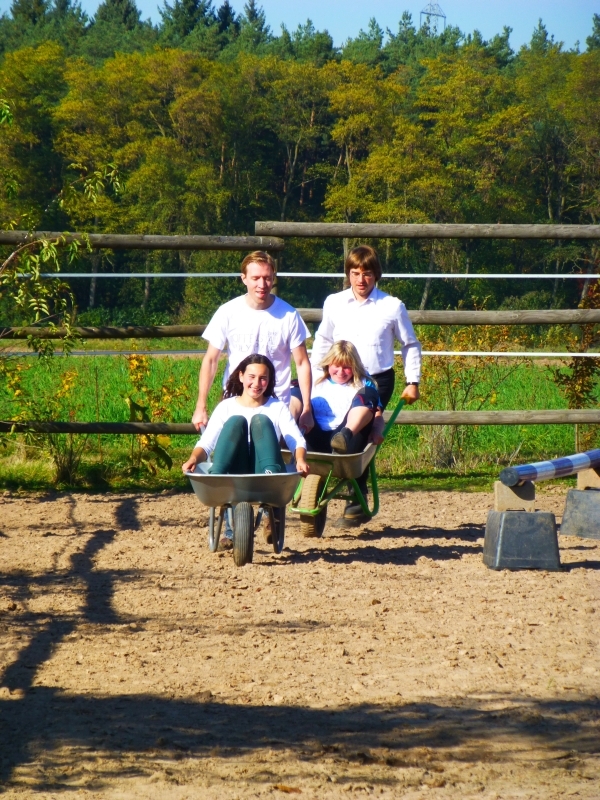 As you can see here the participants gave free rein to their creativity and used e. g. a wheelbarrow or a gig. 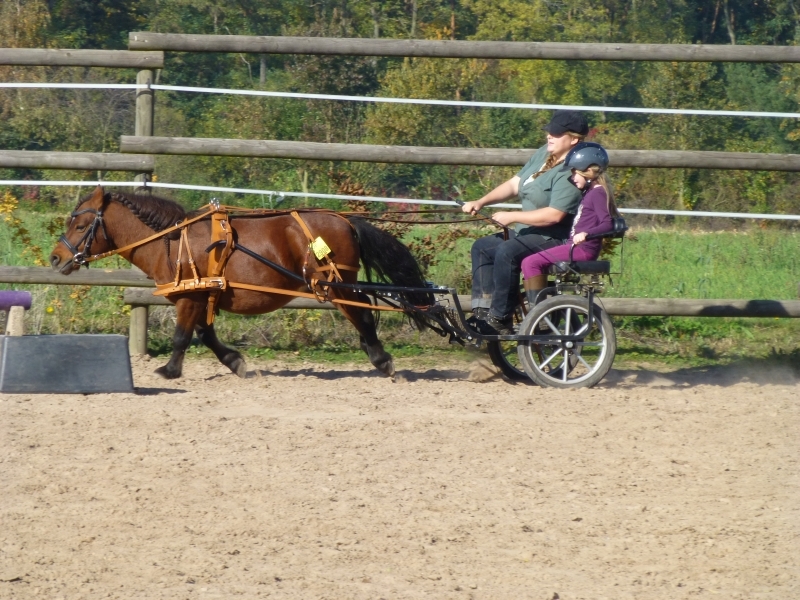 It was essential to convey the partner residing in the carriage two rounds around our riding arena as fast as possible - a really sweaty operation. 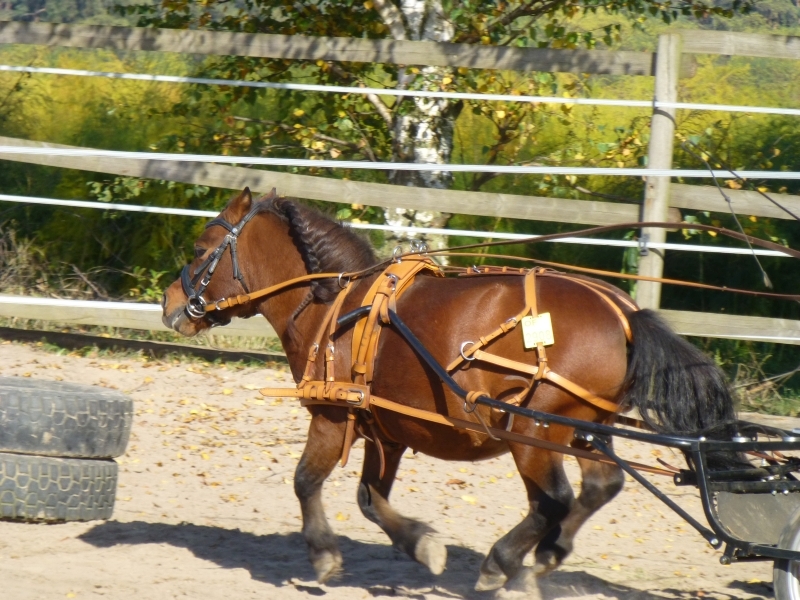 For the finish of the Olympic Games this was a competition of antique tradition once again.